With these type of questions, the panel is trying to determine how you will respond to certain situations. You cannot answer these questions with a simple yes or no. In each question, you will have to perform an action or take a stance. You will have to explain why you would do something or why you would not do something. The questions are not designed to put you in a no-win situation. In each scenario, there are things you should do and things you should not do. You may be faced with the dilemma of wanting to do two things at one time. In this case, you will have to choose the most appropriate course of action. After the question has been asked, pause for a moment to think about your answer. The point is you shouldn't spout out the first thing that comes to mind. Briefly think about your answer before giving it. They are not testing you on how quickly you respond. They are more concerned with your actions in a given situation. If you take too long thinking, that could be a factor in your rating. Expect the panel to ask you to justify your actions. They may ask you why you did not do something. This does not mean you gave an incorrect answer. In law enforcement, people are going to get in your face. This is essentially what they are doing by challenging your answer. Do not let this upset you. If you know you gave a good answer, then stick to it. 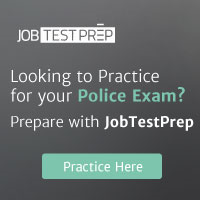 The questions are usually designed to see how you would perform in areas such as judgment, integrity, supervision, use of force, and dealing with co-workers. The questions may be asked in any order. Usually, there will be several questions for each area of consideration. The following sample questions are typical of what the panel is looking for. Read the sample question twice and then think about how you would answer it. We have listed an evaluation of these questions along with appropriate and inappropriate answers. Return to the main interviewing page.